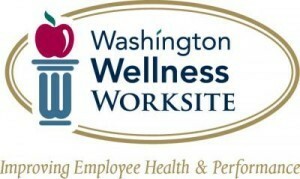 The Washington State Employee Assistance Program (EAP) is a valuable resource for personal and workplace issues. Sometimes serious problems if left unattended threaten our personal relationships and even our jobs. For those times, there’s EAP – your Washington State Employee Assistance Program. The EAP is the employee assistance program for State of Washington employees, other governmental entities, and their family members. The EAP is there to help you with personal or work-related problems that may be impacting your work performance. EAP’s compassionate professionals have many years of experience in helping people clarify issues and resolve them. To schedule an appointment, consult with an Employee Assistance Professional or need multiple copies of EAP publications, please call the number below. The Washington State EAP is committed to ensuring access and effective communication to all clients. If you are an employee with a disability and need reasonable accommodation, please notify the EAP office serving your location. TDD/TYY users, please call via WA Relay at 711. In-person or phone appointments available. The Client Intake Packet needs to be filled out by every EAP client. Prior to your scheduled appointment, please complete the Client Intake Packet. The Statement of Understanding and the Notice of Privacy Practices needs to be read and signed. Please bring your completed Client Intake Packet to your scheduled appointment or fax it prior to meeting with your Employee Assistance Professional. To protect your confidentiality, please do not e-mail your information to the EAP.